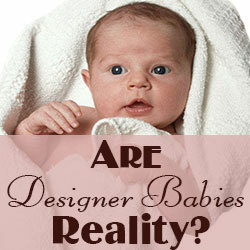 There is much talk about “designer babies,” but this term is definitely misleading. The term “designer baby” cannot be applied to current medical techniques and is a theoretical term and connotes the idea that technologies can genetically engineer a child with specific and desired traits based on a preference for such characteristics as blue eyes, brown hair, and skin with freckles for example. While genes responsible for these traits are known, the medical community is not applying available technology to “design” babies. This is distinct from applying such technology to prevent the transfer of embryos that will never be able to grow or to prevent pregnancies that will result in pregnancy loss, newborn or childhood death, or offspring with severe debilitating or life-shortening medical conditions. The technology to do this is in vitro fertilization (IVF) and preimplantation genetic screening (PGS) or diagnosis (PGD). Consider this example of parents who carry gene mutations for the disease spinal muscular atrophy (SMA). This couple learned soon after birth that their first child was affected when he had trouble breathing and swallowing. After testing, spinal muscular atrophy was definitively diagnosed and that the baby had two copies, one from each parent, of a mutation in the SMN1 gene which causes the disease. Faced with a dismal prognosis, the couple knew their son would not live long as devastatingly, they lost their first born child before his reached his second birthday. Fortunately, PGD technology can and did save these parents from ever going through such a heart-wrenching loss again. In their next attempt to have a child, they underwent IVF, their resulting embryos were tested for the SMN1 gene mutation, and an unaffected embryo was transferred back to the mother resulting in a healthy pregnancy and child. PGD technology can be applied to hundreds and hundreds of single gene disorders for which the gene mutation is known and can be tested. Some well known examples include cystic fibrosis, neurofibromatosis, Tay Sachs Disease, myasthenia gravis, myotonic dystrophy. Similar technology, preimplantation genetic screening (PGS), can be applied to prevent chromosomal problems. PGS can also be used to prevent miscarriages, as at least 50% of miscarriages are caused by abnormal chromosomes or aneuploidy. Further, some individuals carry a reorganization of their chromosomes, called a translocation, which causes higher than normal rates of pregnancy loss because embryos are much more likely to be aneuploid. 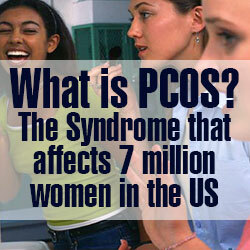 PGS once again can be applied to decrease pregnancy loss in these individuals. 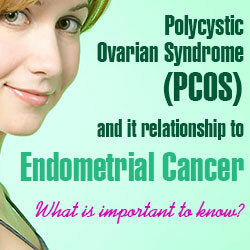 Selecting embryos based on gender alone is also possible with PGS. This is certainly a concern from an ethical and social standpoint and demonstrates an area where such technology can be applied for non-medical indications and for gender bias. Fortunately, most IVF centers seek the guidance of ethicists and national organizations such as the American Society of Reproductive Medicine to approach the application of gender-selection technology in a socially responsible and ethical way. Finally, the term Designer Baby is not a reality as the use of the technology to perform IVF and PGS for non-medically significant traits such as eye color or hair color is not being done. It is the responsibility of the leaders and providers of assisted reproductive technologies to adhere to national guidelines and continue to approach the application of this technology in a very conscientious way.